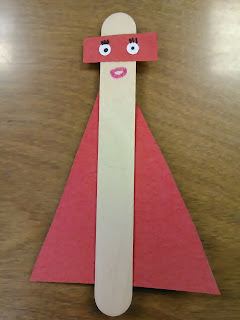 Crazy Cakes and Eskimo Kisses: Embracing Our Differences Through Books and Crafts: Do Super Heroes Have Teddy Bears? 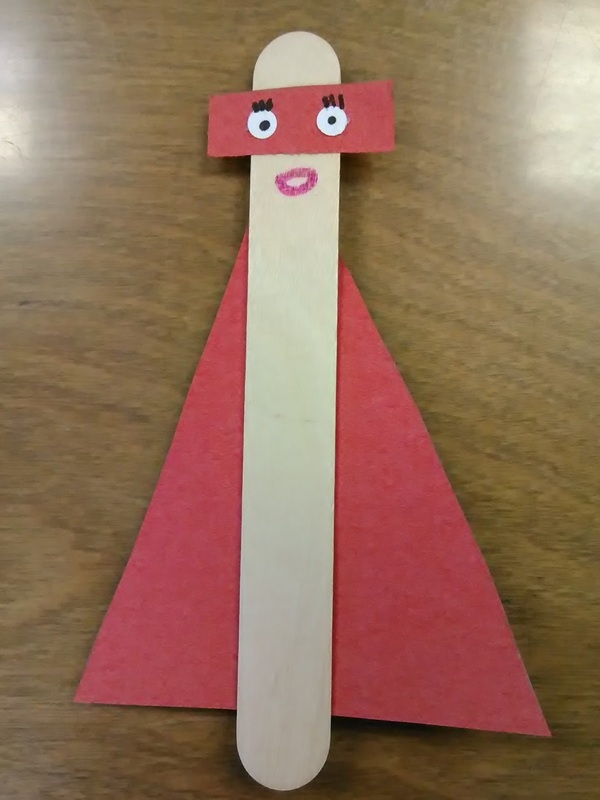 Embracing Our Differences Through Books and Crafts: Do Super Heroes Have Teddy Bears? "Do you know why I go to therapy, mom?" C asked me one day. "Because I'm going to be a super hero and save the world" she said with a smile on her face. I have no doubt that she has the potential to make the world a better place. In fact, I hope every single one of our kiddos does just that -- saves the world in their own special way. I was super surprised and happy when I ran into the book Do Super Heroes Have Teddy Bears? by Carmela LaVigna Coyle and illustrated by Mike Gordon. The book focuses on the fact that -- no matter our abilities, differences, fears, and strengths -- we can all become a hero. You can listen to the book and read along here. 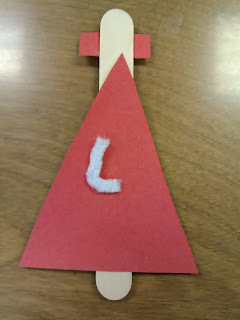 Materials: Popsicle Sticks, Construction Paper (1 Large Triangle, 1 Small Rectangle), Pipe Cleaner, Markers, Glue Stick. Optional: Googly Eyes. 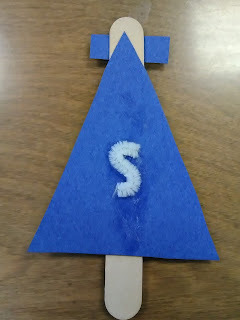 We made ours with pieces of white paper and marker. Directions: This is relatively simple. You just glue your pieces on and decorate your super hero however you would like! 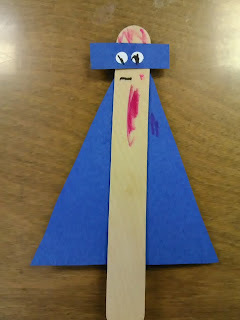 When we finished, we put on a Super Hero Puppet Show. Let me know what you think of the book and how the craft goes if you decide to make it. I'd love to see pictures in the comments!